The following top scholarship programmes are currently open for African students each with closing dates in March 2019. View other scholarships with March deadlines in your favorite Scholarship Website’s archives. Please note that for university scholarships, participation requires that you already have or are in the process of gaining admission to desired university(ies) for 2019/2020 academic year. The CSC is offering the Commonwealth Shared Scholarship Scheme for Masters Students from Commonwealth Countries to study in UK Universities. Food and Agricultural Organisation (FAO) has opened applications for its Fellowship program for typically PhD students, researchers and professors. The Romanian Government through the Ministry of Foreign Affairs offers Scholarships to foreign citizens to study for Undergraduate, Masters and Doctoral Degrees. American University of Beirut MasterCard Foundation Scholarship Program are running Masters Scholarships for students in Sub-saharan Africa. The Japanese Association of University Women (JAUW) International Fellowship Programme offers Fellowships to Women from any part of the world to carry out research or advance study in Japan. 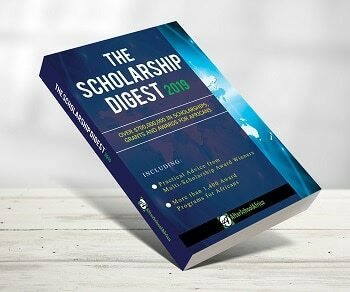 The Korean Government is offering Bachelors, Masters and PhD Scholarships for International Students to study at various Korean Universities and Higher Institutions. The graduate application program will open in February and close by March. Specific dates will be published soon. KU Leuven promoters can apply for a 4 year PhD project for a candidate from a developing country who wishes to obtain a doctorate at KU Leuven. Launched in 2010, the French Embassy Masters and PhD scholarship programmes form part of the commitment between France and South Africa to establish fruitful partnerships between their universities while building a vast network of academic and professional contacts. The Centre of African Studies, School of African Studies(SOAS) University of London offers 2 PhDs to African nationals as part of the Governance for Development in Africa Initiative funded by the Mo Ibrahim Foundation. Università Cattolica del Sacro Cuore, as part of its mission to foster relationships with developing countries, has developed a special program for students from the African continent. This program will enable students to study for undergraduate and postgraduate degree programs taught in English at UCSC’s Milan, Piacenza and Cremona campuses. The Faculty of science of the University of Geneva in collaboration with several sponsors, has established an Excellence Fellowship Program to support outstanding and highly motivated candidates who intend to pursue a Master of Science in any of the disciplines covered by the Faculty. Taiwan International Cooperation and Development Fund (Taiwan ICDF) offers Higher Education Scholarship Program for international students to study for Undergraduate (4 years), Masters (2 years) and PhD (4 years) Degrees at renowned partner universities in Taiwan. The Special Scholarship Program (SSP) was established in 2003 in order to support the advanced research of the university by enlisting the help of highly capable doctoral students especially students from foreign countries. The Civil Society Scholar Awards (CSSA) support international academic mobility to enable doctoral students and university faculty to access resources that enrich socially engaged research and critical scholarship in their home country or region.